Thank our Attorney General for bringing the lawsuit to protect California’s right to its stronger standards. Tell EPA Director Wheeler what you think of the proposed rule. Take back the Congress: If you’re not already calling and canvassing to make this happen, volunteer with us! Or click UPCOMING EVENTS at the top of the screen and select a way you’d like to help. First, lower its standards for cars’ gas mileage to the federal levels. Second, roll back the federal standard to where it was set decades ago. They’ve got the nerve to call this two-pronged attack the Safer and Affordable Fuel Efficient Vehicles Proposed Rule for Model Years 2021-2026. It’s dangerous and it’s a big cash gift to multinational oil companies. The new plan also slams the brakes on improving federal standards, locking in the old plan through 2026. That plan was a small improvement on levels set in 2007. At that time, U.S. car fuel efficiencies had not risen significantly since 1983. The combination of this lack of improvement and forcing states to lower their own standards would be a climate disaster. 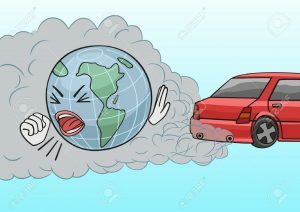 Car exhaust is the biggest source of the carbon the US forces into the atmosphere, and that makes gasoline a major culprit in the climate emergency. We must cut those emissions as fast as possible, not roll back to the eighties.